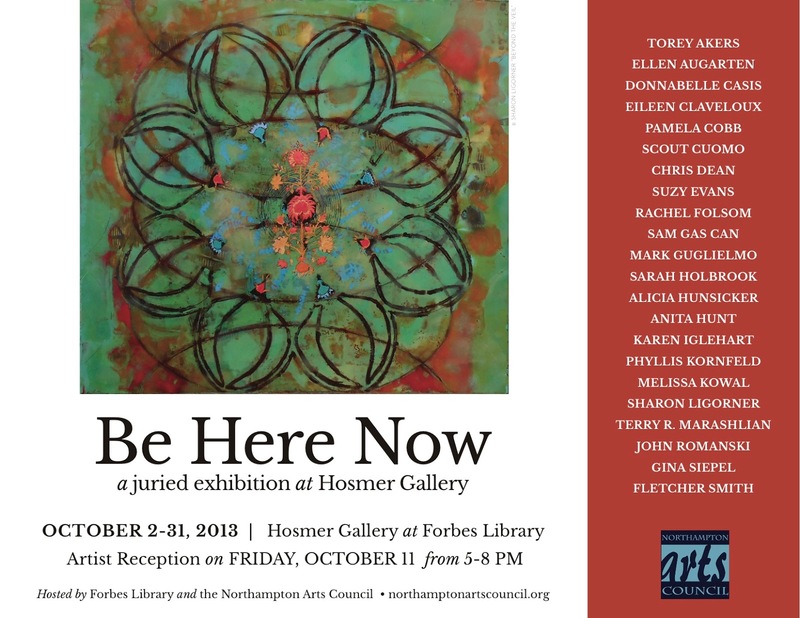 Please join the Northampton Arts Council Board of Directors Chairperson Betsy Stone and meet all the artists for the Arts Night Out reception on Friday, October 11th from 5:00 p.m. to 8:00 p.m at the Hosmer Gallery. 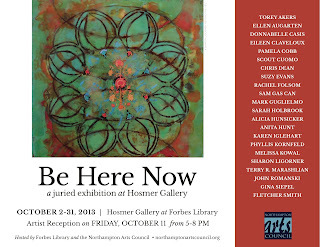 The jurors for the show are Gordon Thorne a visual artist and Director of A.P.E. which he founded in 1977 and the Open Field Foundation, created in 1996. “I was born in 1941 and ended a totally undistinguished academic career in 1966 with an MFA from the Yale School of Art & Architecture. Since then I have been studying the various ways that things, myself included, evolve. Mara Williams is the Chief Curator of the Brattleboro Museum & Art Center. Her curatorial area of expertise is modern and contemporary art. As an independent curator her exhibits have been seen by audiences at Tufts University Art Gallery, Florence Griswold Museum, Carving Studio and Sculpture Center, as well as a number of galleries in New York City. As a partner in Arts Bridge LLC, Ms. Williams leads exhibition teams for institutions developing large-scale new museum projects.